FSA Guaranteed Loans offer an opportunity for viable farming operations to obtain financing when their needs exceed traditional lending requirements. Many young producers use this program to expand their operation. Existing borrowers can benefit from FSA Guarantees as they change the direction of their operation or simply want to lower their repayment requirements. Longer repayment terms and lower collateral requirements offer greater flexibility to those borrowers. Interest rate uncertainties are minimized by long-term fixed rates, without the burden of prepayment penalties. Our people have many years of history writing FSA Guaranteed Loans and a long-standing relationship with FSA staff. 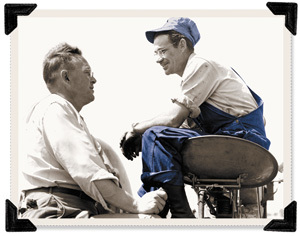 This relationship and history allow BEACON AG GROUP to provide these enhanced loans to borrowers in a quality fashion.